A professional and well -trusted garage in Reading. All our technicians have industry recognized qualifications and adhere to strict ATA code of conduct that shows in the quality of their work as well as their commitment to our customer satisfaction. 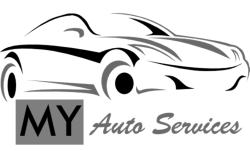 We carry on our shoulders many years of experience in the automotive industry and a great deal of responsibility for our customers! The quality of any thing we offer is of the highest standard and our commitment to our customers satisfaction is second to none! We are very conscious of your expectations which we are very committed to meet. Each and every spot of your vehicle on which we carry out our work we will be leaving traces of our reputation on. replacing a blown fuse , doing a complete rewiring or installing a new engine, any job we undertake no matter how small it is will be carried out to the highest standard! Company Registered address: 118b Oxford Road, Reading RG1 7NG. Company registered in England under # 8547784. Content on this website is the sole property of My Auto Services.